The first official Hello Kitty convention dubbed 'Hello Kitty Con' is due to be held in California. Hello Kitty started life as a character on the front of a plastic purse and is now a brand worth more than $7 billion a year. Diana La Counte, a 33-year-old Hello Kitty superfan who was heading to the convention spoke to 5 live. 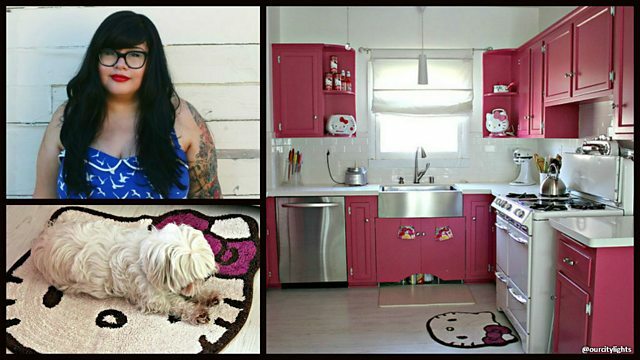 Diana said: "I have a Hello Kitty themed kitchen." When asked what her husband thought of their kitchen and her fondness for the cartoon figure, she said: "My husband says he loves me more than he hates Hello Kitty." This clip is originally from Breakfast on Thursday 30 October 2014.